When one starts learning a certain acupuncture methodology, the focus would be on its technical aspects. Everybody would be into acquiring techniques that are visible and exist in front of you. However, having certain skills and techniques are not necessary equal to the success of treatments. Have you ever felt that you could have treated patients better when you just started acupuncture? Why is it, though you were inexperienced in terms of techniques? It would be possible to analyze in various perspectives, but one reason would be because you would have expected and believed possibilities of acupuncture more, when you just started acupuncture. Techniques are acquired by constant training. However, they are not enough for the treatments. Practitioners need the core, the basis of such techniques. That is the belief, as you can be sure what you are doing by learning the basic theories. Making the CORE bigger and stronger is the best and shortest way to improve your treatment efficiently. 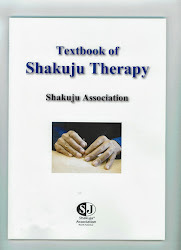 *This article is translated from Japanese Shakuju association blog.